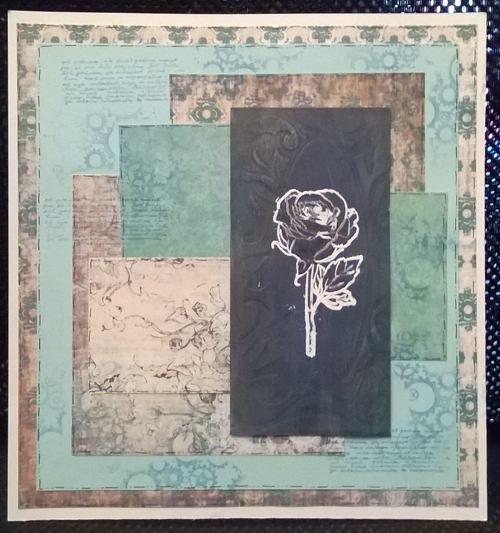 I have a quick Art Journal Page today using a lovely floral stamp with papers added in a patchwork style. 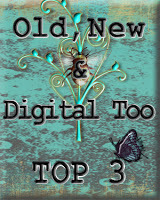 I have overstamped various background images to bring the layers together. 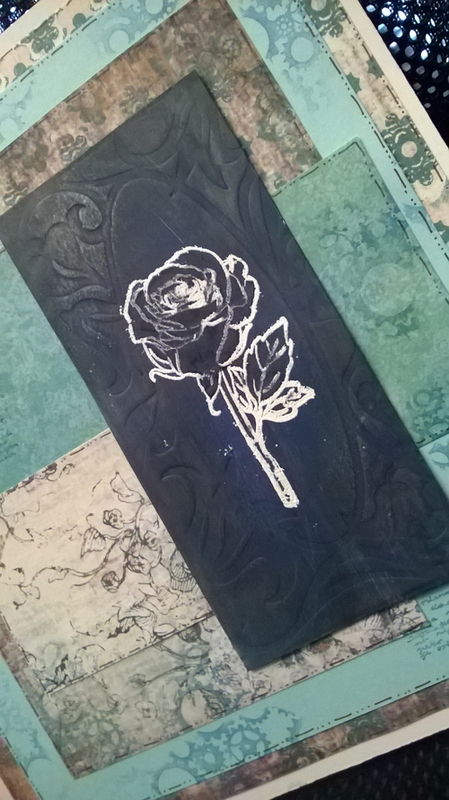 This entry was posted in Art Journal, Uncategorized and tagged Art Journal, Birthday Card on March 29, 2018 by blackflowercreative. 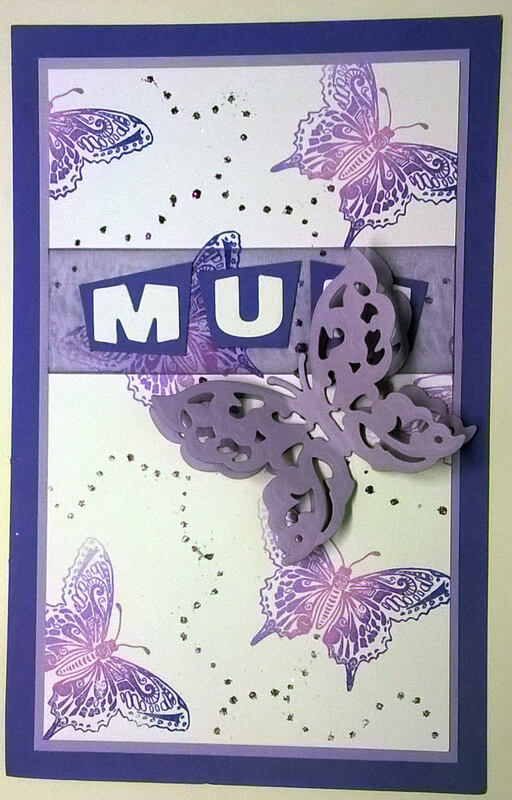 Todays card is one of the most special to be made in a year – Mothers Day. 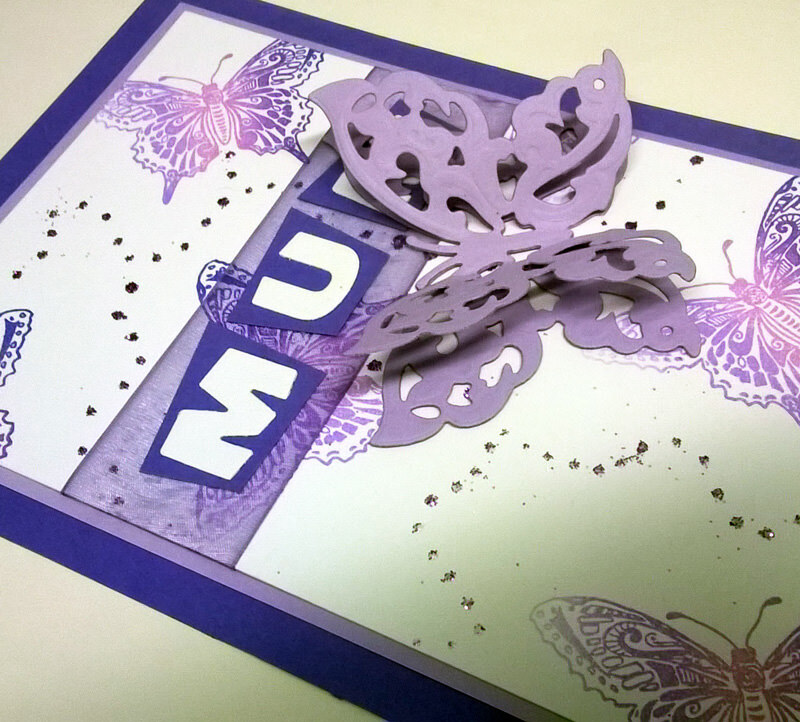 For my favourite person I used my favourite things – butterflies and purple. A simple but special card! 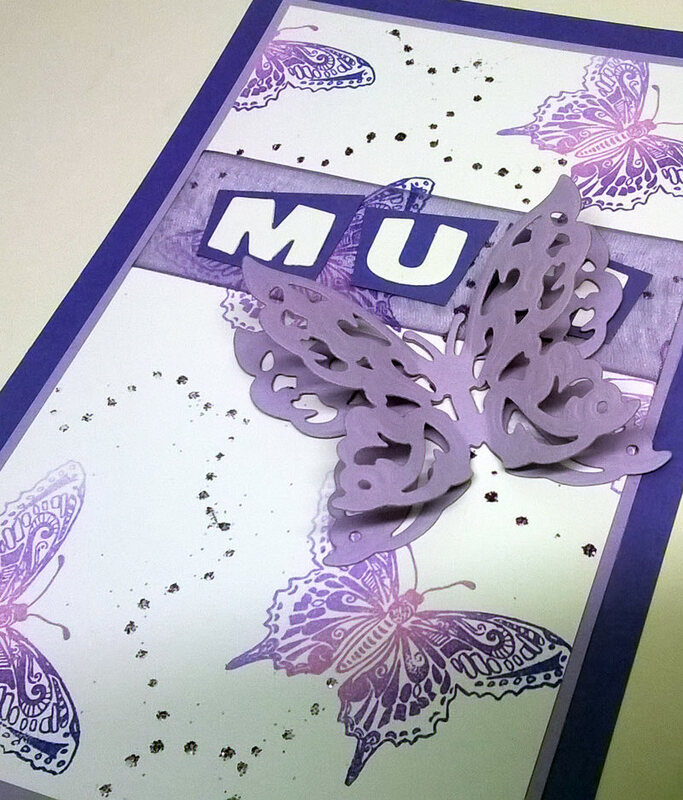 This entry was posted in Cards, Uncategorized and tagged Handmade card, Mothers Day card on March 11, 2018 by blackflowercreative.